Urban Adventure League: Get Ready for PedalPalooza! Here are the Urban Adventure League associated events. 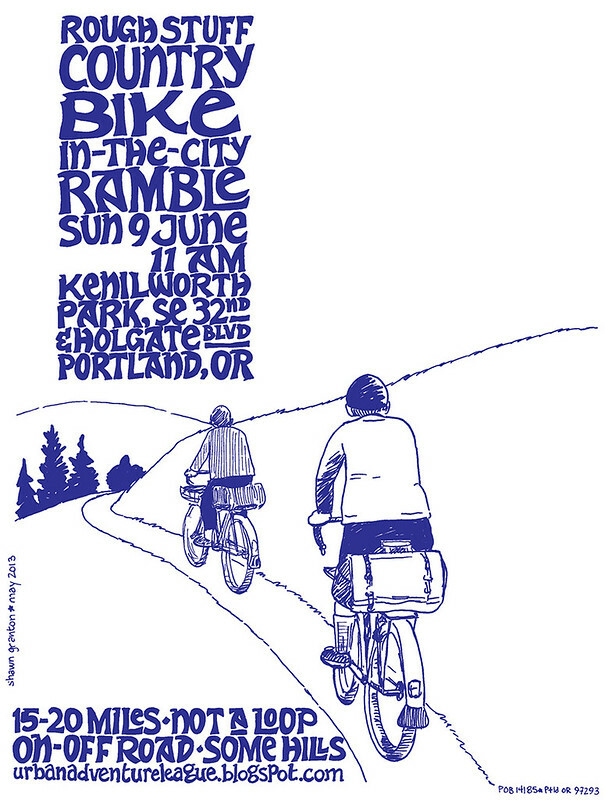 Get Ready for PedalPalooza! Here are the Urban Adventure League associated events. A 15 to 20 mile ramble exploring the "country" aspects in the city while riding "Country" bikes. Expect a good deal of gravel/dirt action, climbs (you can walk it if you have to), and places you didn't think existed. We'll have food/picnic breaks along the way. Ride a bike geared towards comfort, not speed, and one that can handle off-road elements. Moderate pace, no one left behind. Lycra and carbon, no, shellac and seersucker, yes. Ride not a loop. Unlike past year's pizza rides, this year's route will be decided "democratically" save for the first stop which the organizers have picked out. At each stop we'll decide where to go next and call ahead to order pizza. People who have strong opinions on pizza and favorite pizzerias in town STRONGLY encouraged to attend. Ride ends when we feel like it. Limited to 24 people, PRE-REGISTRATION REQUIRED. Register here. 9:30am - 5:30pm, We depart at 10am sharp! Riding to quiet country roads and spectacular scenery is easier than you think. 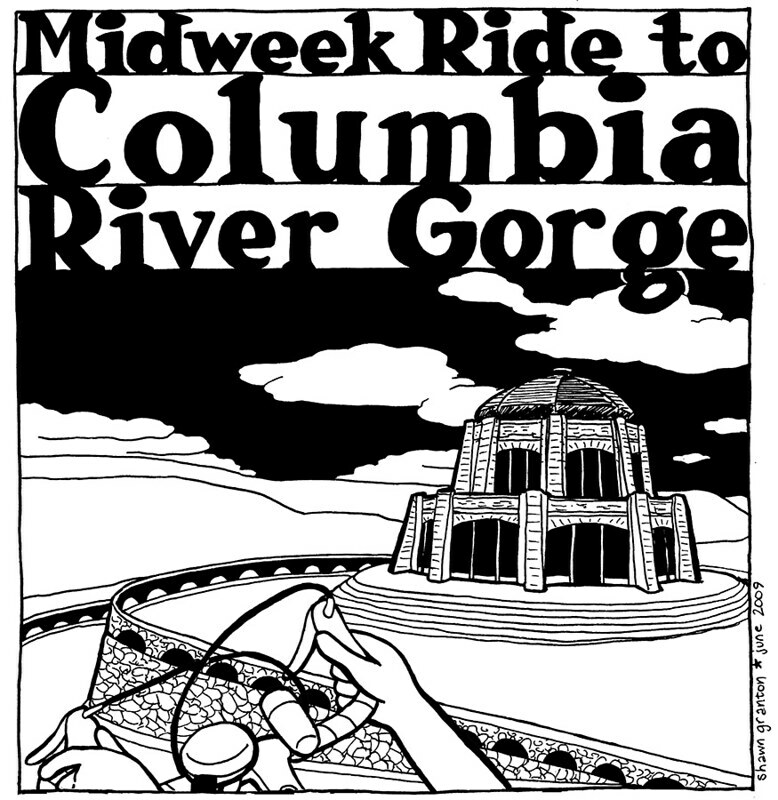 The Columbia River Gorge is just a short bicycle ride away. And you can totally handle it if you are an everyday rider. Bring a snack, water, and Trimet fare. Geared bikes recommended. Approx 40 miles round trip. Randonneuring is a long-distance cycling "sport" where one rides a predetermined course passing through "controls" (checkpoints). Riders ride against themselves, not others, and aim to complete the course within specified time limits. If you've been rando-curious this is a good chance to try out this fun and addictive style of riding. Choose to ride either a 50 km or 100 km route around Portland. Bring a helmet, repair kit, pump, spare tube, bike map, somewhere for a cue sheet, and a pencil to fill out your info card. No ride leader or SAG wagon but most of the area is served by Trimet. 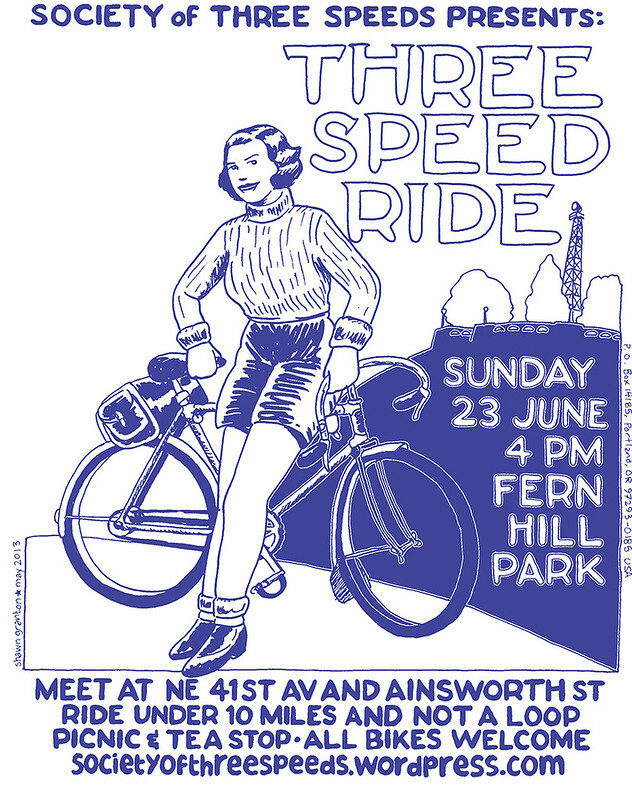 What better way to finish Sunday Parkways than ramble around Northeast on your humble internally geared three speed bicycle? Bring your trusty three speed bicycle from any nation. Three speeds preferred but any bike welcome if you don't have one. Casual paced ramble of approx. 8-10 miles, fairly flat, with a little dirt "rough stuff" action thrown in. We'll have a picnic and tea brew up towards the end, bring all the necessities like food, a teakettle and a camping stove. Check website for more info. I hope to also sneak in a mid-week camping trip in where time allows. If and when that happens, I'll let you all know.